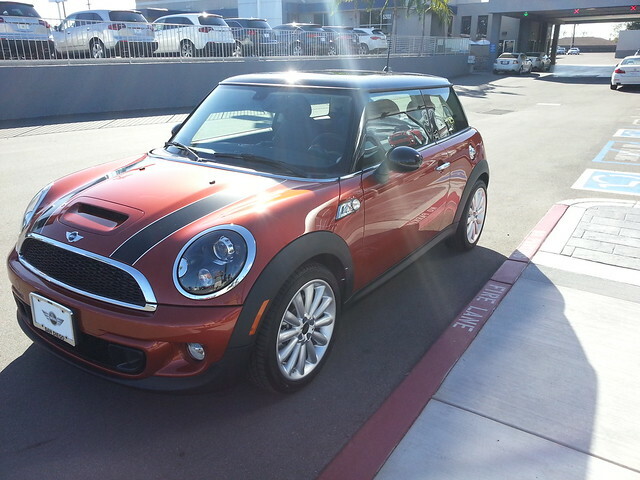 My MINI finally arrived at the CA VDC last Saturday and made it to my dealer in record time. I’m already forming some opinions but will leave a comparison of this to the last one for a bit, but they are definitely very different in feel. My MA says that very few people order the Infinite Stream wheels but I think they look good in this combination. I was disappointed with my wheels last car, hoped not to repeat the same mistake this time. 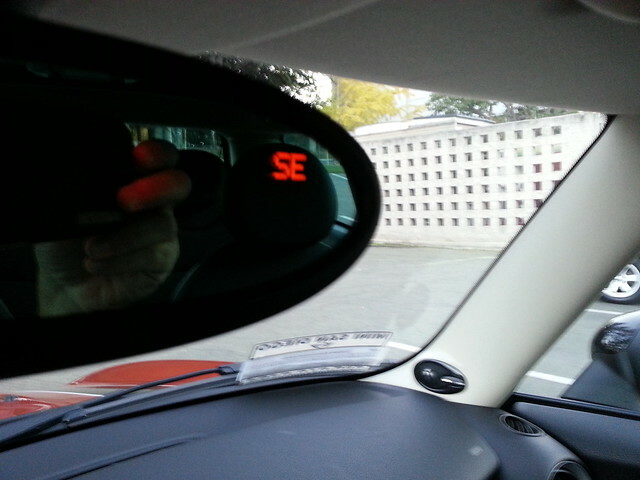 Finally, here’s a shot of the digital compass in the rear view mirror. When I saw this was now an option I had to have it, used to love being able to see what direction we were going. I only had the phone to take pictures with and the light was no good for any interior shots, I’ll maybe get some of those at the weekend. That’s a really nice color combo, though I can’t identify the main color. 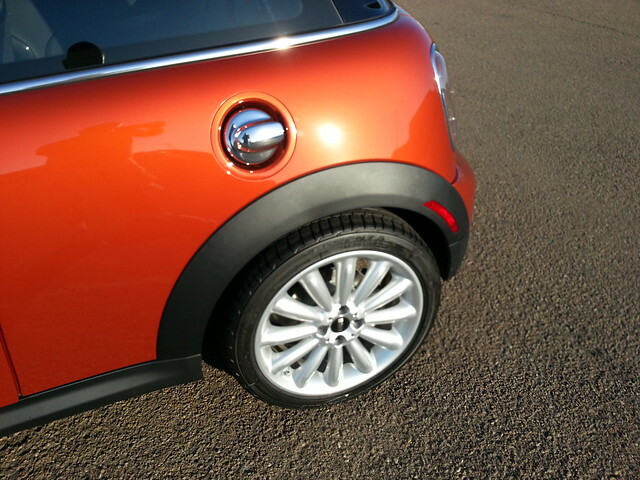 Maybe spice orange, looks closest at MINIUSA? Congrats! The orange and black looks great. Thanks guys, yeah I am very pleased with how the colour turned out. The spice orange is a sharp colour. NICE! Love the colour. Have fun. That’s my third favorite colour right now! 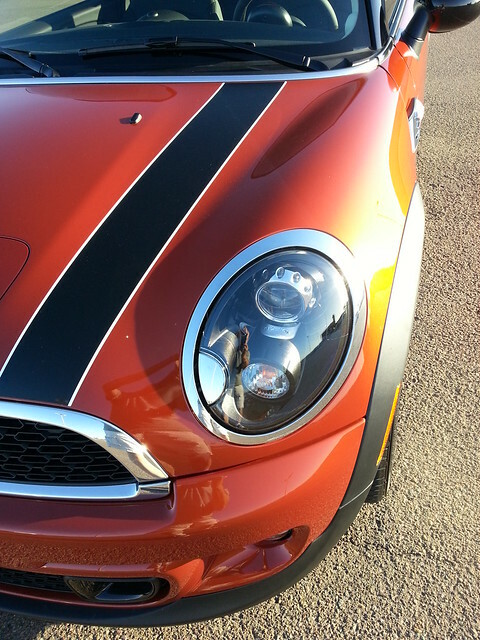 Great looking MINI Paul. Congrats! Previous Previous post: Where’s Waldo?